Have a messy baby? Make it a little more interesting with this custom text bib. 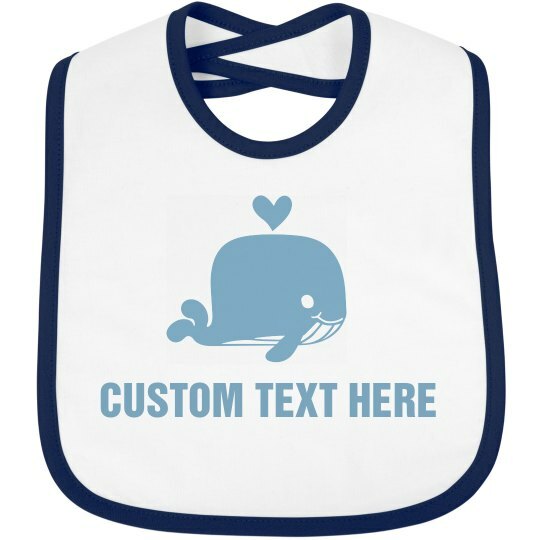 The adorable whale on the front will keep you smiling while you are feeding your baby, and you can customize it with your son or daughter's name or any other message!